The Valley Girl patois that ran through Clueless helped make Amy Heckerling’s 1995 film a teen classic. 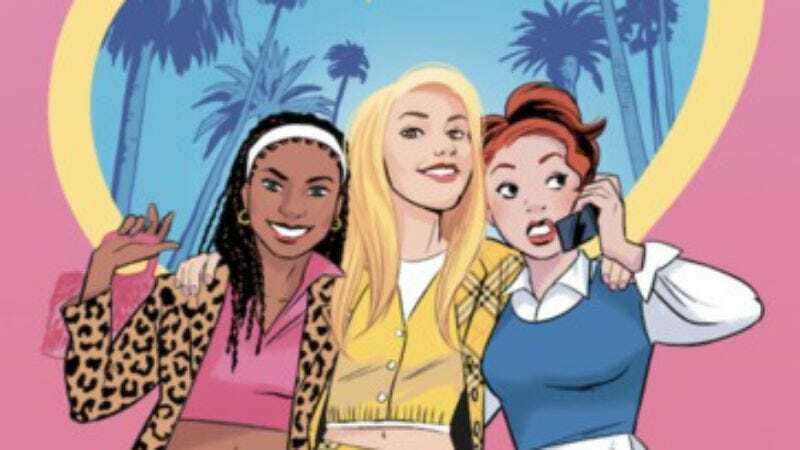 So the news that Buffy The Vampire Slayer’s Amber Benson—who’s no stranger to snappy dialogue that takes on a life of its own—is developing a comic book based on the film earns snaps from us. Vanity Fair reports Benson is working with Heroine Complex creator Sarah Kuhn on the latest title from Boom! Studios. Siobhan Keenan will draw the series with cover art from Natacha Bustos (Spider Woman). Vanity Fair spoke with Benson and Kuhn about their comic as well as their love of all things Cher, Dionne and Tai (Amber might has well have been a virgin who can’t drive, guys). Benson did audition for the role of Tai, she tells VF, which she ultimately lost to the late Brittany Murphy. Now she’s working on a comic series that will follow the teens in their senior year, as they figure who and what they want to be after high school. And although it seems way harsh, there’s no mention of Josh, Cher’s former stepbrother and eventual boyfriend, so maybe they broke up? Then again, he could just make sporadic appearances.